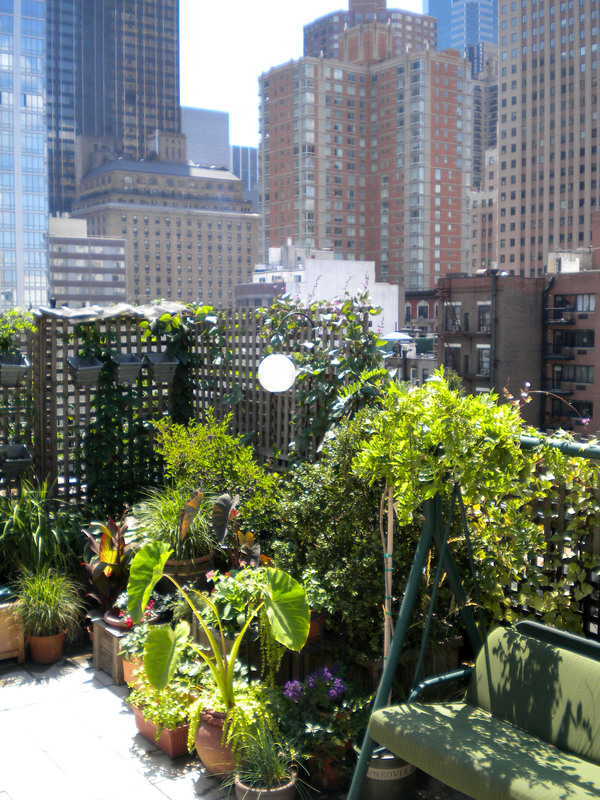 This rental rooftop garden, in Midtown West Manhattan, utilized the client’s existing planters and plant materials. We came up with a new layout to make the existing plants stand out better. Gardens are always growing and changing, and since everything is containerized, we have the opportunity to tweak the layout throughout the growing season. As different plants bloom we can move them forward to highlight their visual interest. We also used risers to elevate some planters to add more interest and movement throughout the garden. Varying heights is just another way to make this garden feel more eclectic. 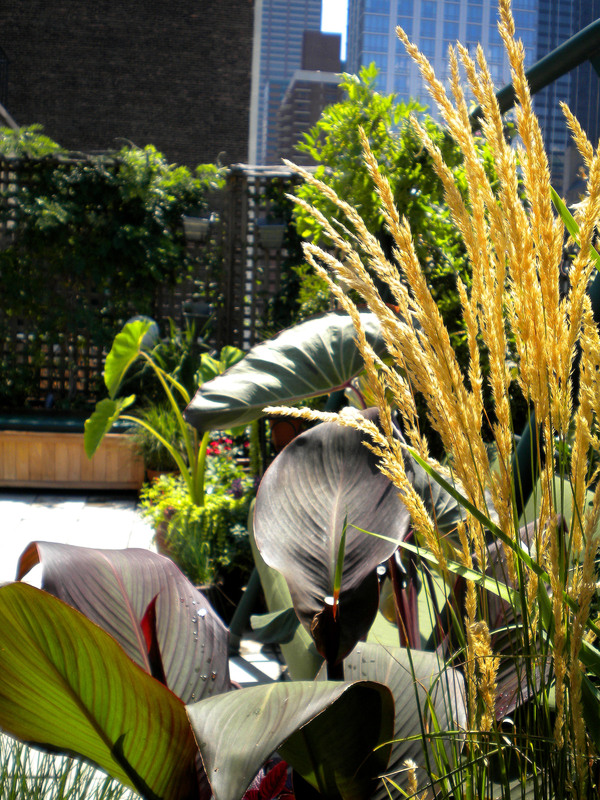 Plant textures and foliage colors are really important in a container garden. Contrasting textures provide a backdrop for showy flowers without overpowering the space. 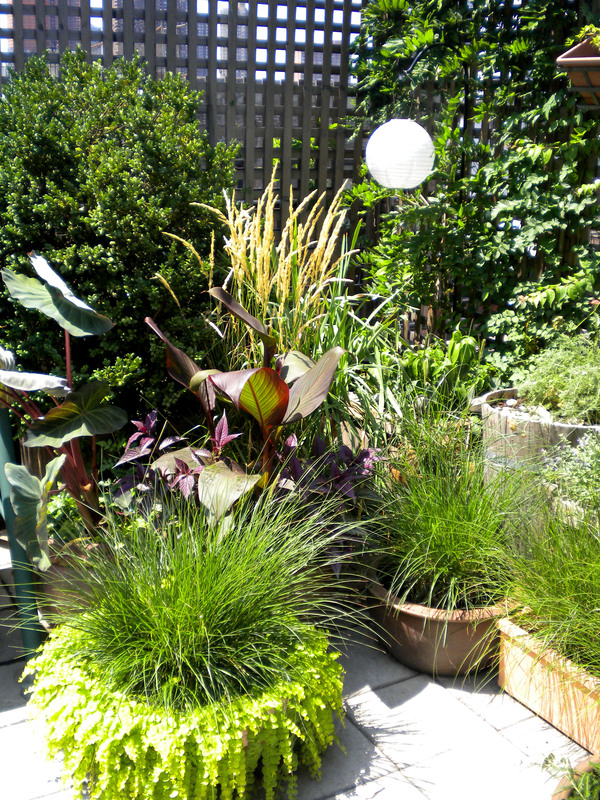 It is easier to mix varying leaf types in a small garden without looking too busy. Floriferous gardens filled with every type of annual from the garden center often turn out looking like that old print dress mom has in the back of the closet that needs to be thrown out. Keep it simple, and classy.